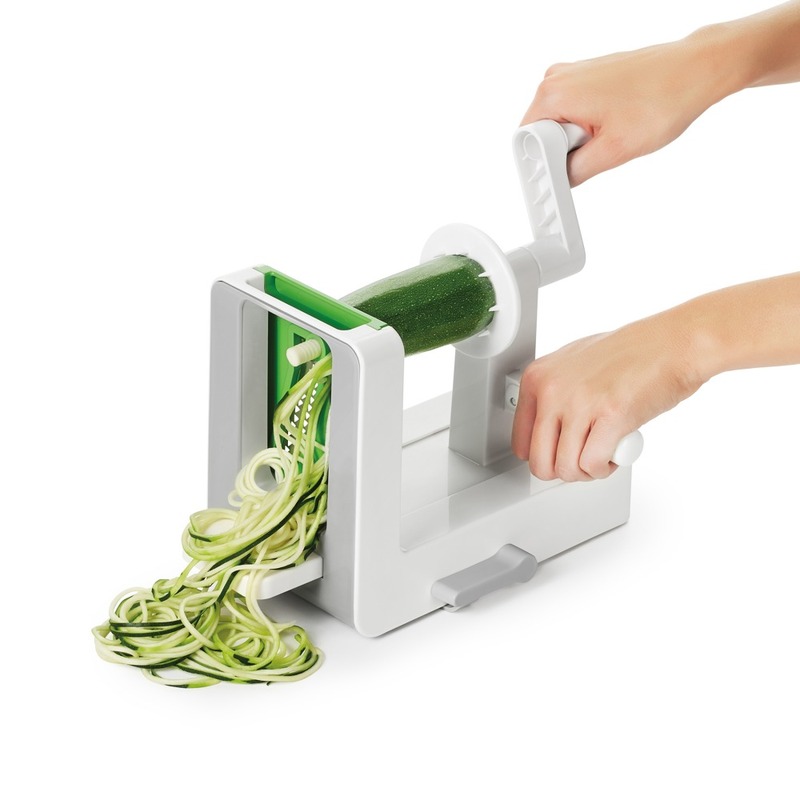 Healthy Meals With a Twist! 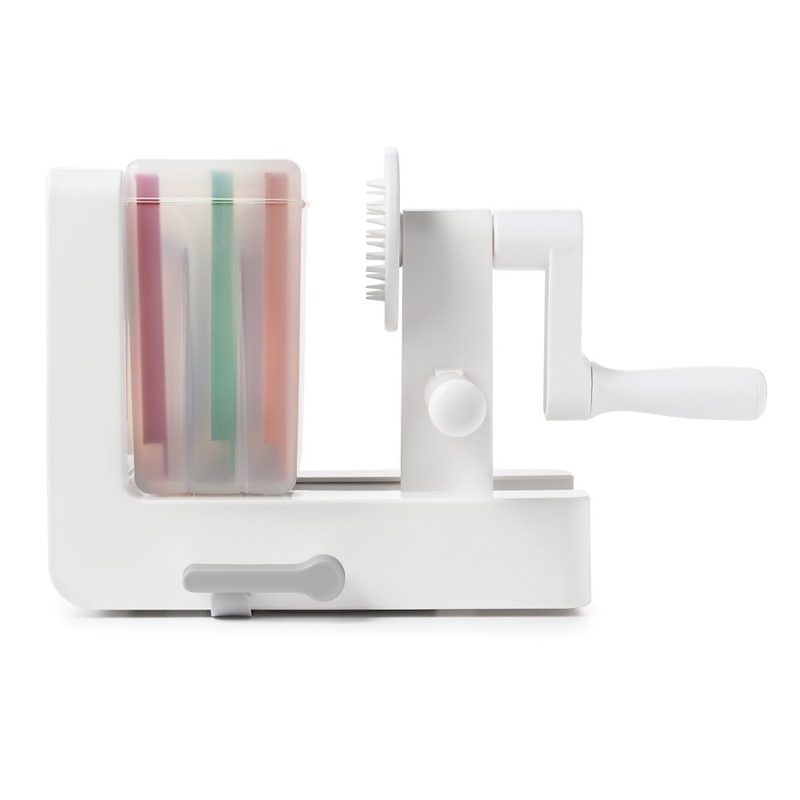 Whether you are looking for a healthy alternative to pasta, or a fun way to give your classic recipes a twist, delicious meals are simple with the Spiralizer! 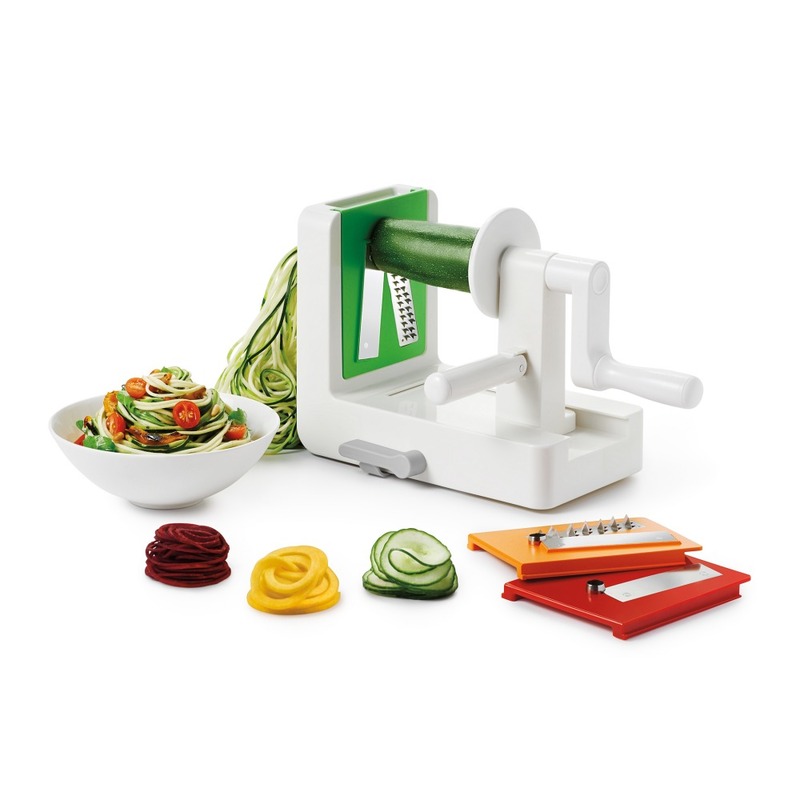 Three interchangeable blades let you quickly transform fruits and vegetables into noodles, ribbons, chips, and more! 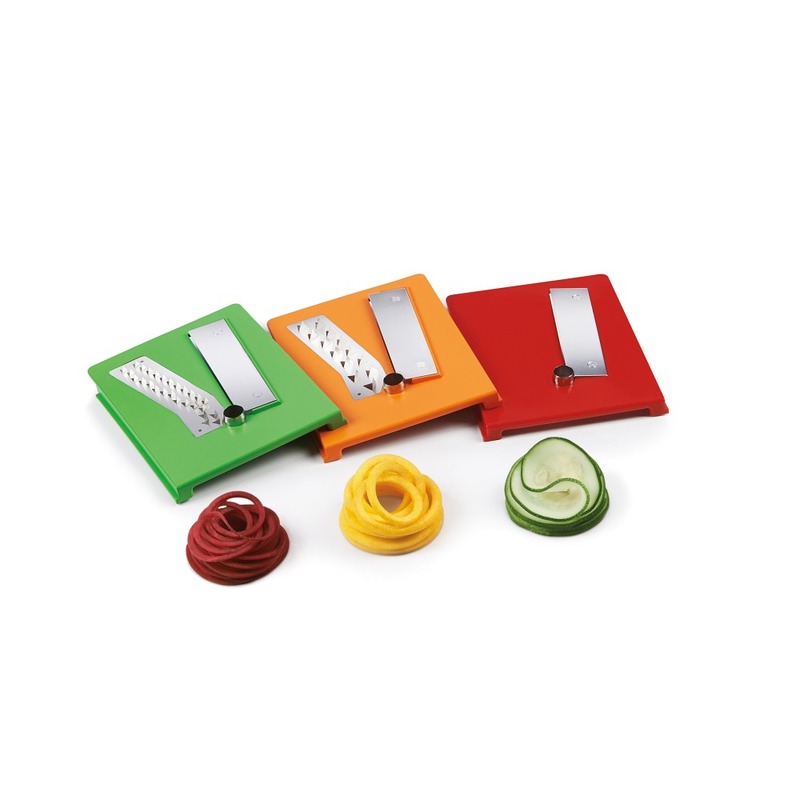 • Make uniform spirals for curly fries, salads, garnishes and more. 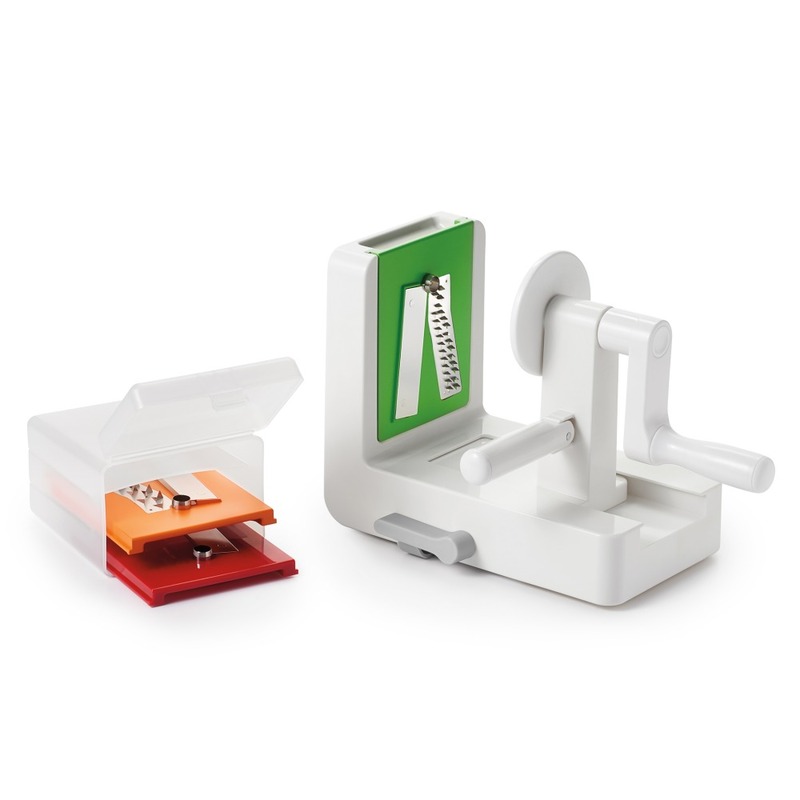 • Stronghold™ suction cup prevents wobble on countertops.